If you are planning an upcoming vacation at any hotel at the Disneyland Resort, you have a little bit more to look forward to than the average hotel guest. It’s not obvious, or publicized much, but when you get your information folder and head to your room, it awaits you. Now depending on the hotel, the information sheet you are looking for carries a different name. At the Grand California Hotel and Spa, it’s known as Grand Adventures. At the Disneyland Hotel, it’s known as Neverland Adventures. 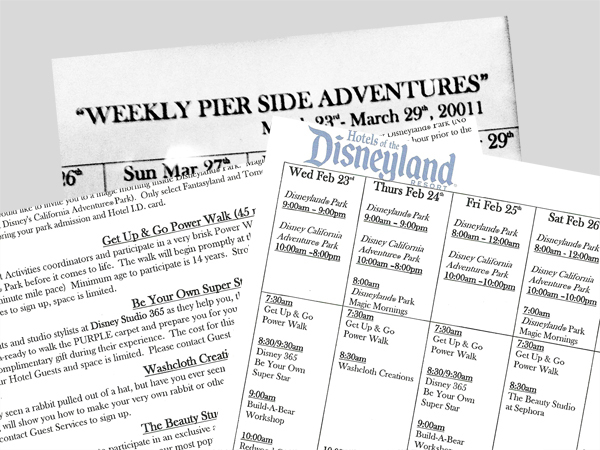 At the Paradise Pier Hotel, it’s known as the Pier Side Adventures. No matter which hotel you choose, it’s an Adventure! Now, before I get started, there are some very important things you should know. First, these activities can change. New adventures may come and others may go. Therefore, it is important to review the schedule of activities. In addition, some might be canceled if there is not enough interest. This means that if you are interested in a specific adventure, you need to make sure that you read the schedule and get yourself signed up as soon as possible. The last important thing is that you may only do the adventures offered by the resort you are staying at. I tried. It didn’t work. Bummer, I know, but rules are rules. Read the schedule. Now, I can’t say “READ THE SCHEDULE” enough. You will find it in your welcome folder at the Disneyland and Grand Californian Hotels, but for those of you staying in the Paradise Pier Hotel, it’s a bit of a challenge. They do not print out copies of the schedule, which I was completely floored by. You actually have to know to look on the bulletin board of the wall of the glass elevator shaft – directly opposite the center of the check-in desk. You can actually see the Cast Member at the desk in the reflection of my photo…. 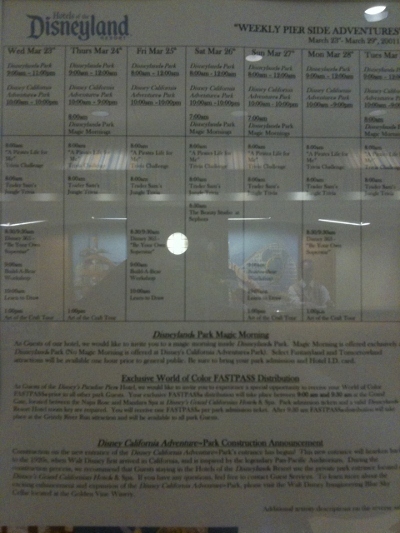 If you can’t find your copy of the Adventures Schedule, make sure you contact Guest Services or the Front Desk (at the Disneyland and Grand Californian Hotels) and they will get you a copy. You Paradise Pier folks – use that photo as reference! Now that I’ve told you how to find the Adventures, let’s talk about them. Let’s start with the Retail/Shopping category. After all, who wouldn’t love to have the entire Build-A -Bear, Studio 365, or Sephora store all to yourself, and have staff there for personal assistance or customized makeovers? If you are like most Disneyland Resort guests, you might have been planning on visiting these places anyway, so why not forgo the lines or crowds that tend to build up in these popular locations? With the Disneyland Resort Adventures programs, you can register to visit these locations before they open. Since these are the only Adventures with an associated cost, let’s break it down by each adventure. Availability: All retail experiences are currently open to guests of all 3 Disneyland Resort Hotels. Must make a reservation at the Guest Services Desk. Okay – since we recorded this edition of the DIS Unplugged Disneyland Podcast – a new retail adventure was added into the mix! 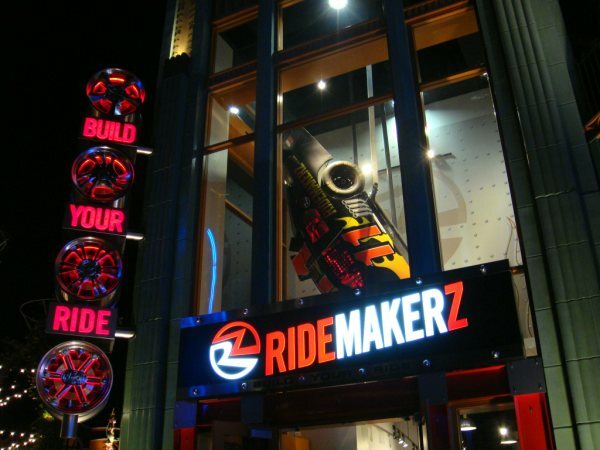 The folks at RIDEMAKERZ have opened their store so that hotel guests can build any stock RC car for only $50. This experience is extremely popular and during normal business hours, the store is crowded with all ages of car designers, so having a special, private session is great to plan into your day. 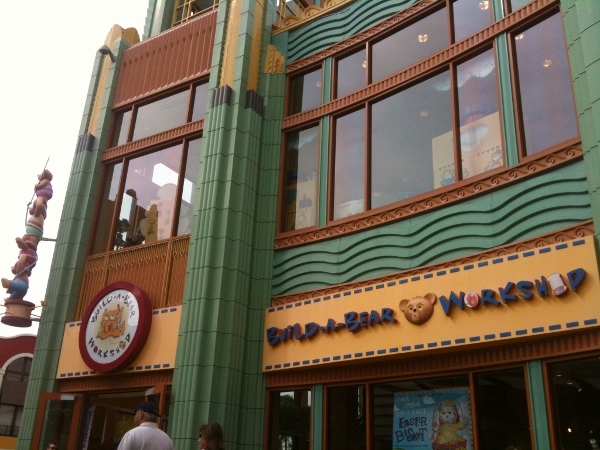 Build-A-Bear Workshop costs relate to purchases made. They say that the minimum bear purchase is $10, but I would allow about $25 – $35 for your animal of choice and a full outfit. 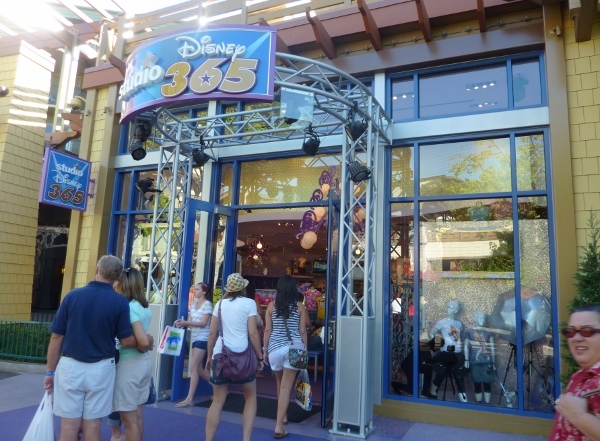 Once again – this is another extremely popular store in Downtown Disney and there are often stuffing lines on both floors that are packed with guests in the evening hours. This is a great chance to make it a more personal experience with your child, without all of the hustle and bustle of the normal shoppers. 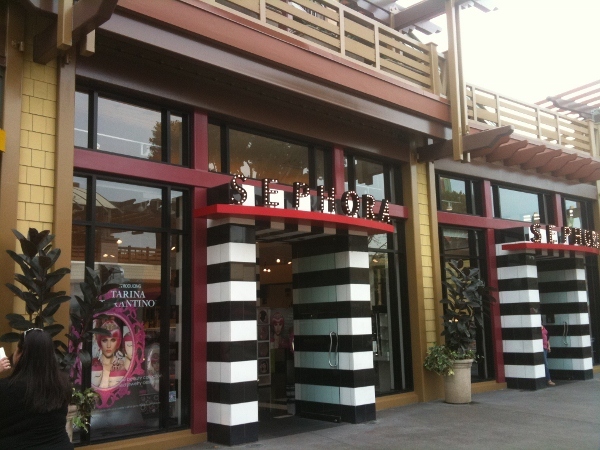 The Beauty Studio at Sephora requires a $45 gift card to be purchased - which is a rough average of how much a guest spends after having a basic make-over anyway. I have a tendency to spend a lot more than that and I think the folks at Sephora hope you’ll do the same! Guests must be 13 years old to participate with someone 18 or older. When I did this one, we met at 8:30 in the morning and walked over. They had four consultants there to give us plenty of advice on skincare and how to choose the right cosmetics for your skin type. We were given a detailed list of the products they used on us and we could then purchase things right away, or take our gift card home for later use. Studio 365 Be Your Own Super Star requires the purchase of a makeover at a minimum cost of $39.95. This includes colorful hair extensions and make-up that you will take home. There are a lot of other accessories in the store, so if you spoil your rock star, budgeting another $25-$50 isn’t a bad idea. If you are familiar with Club Libby Lu, the makeovers are similar. Now, let’s talk about the Fitness Adventures. For those of you staying at the Grand Californian Hotel and Spa that love to workout or have dreamed of unique ways to work out on vacation, these are right up your alley. 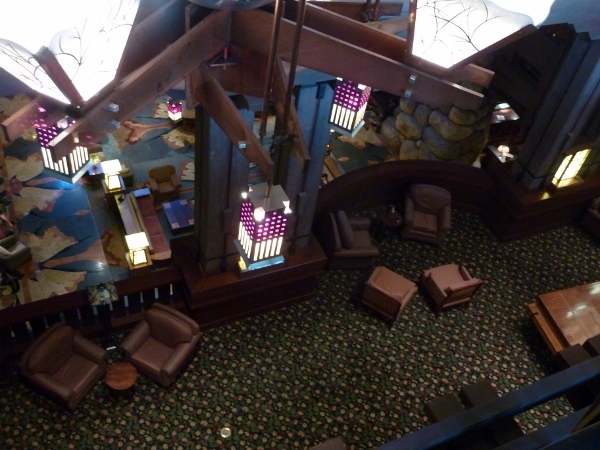 Availability: Open to guests of the Grand Californian only. 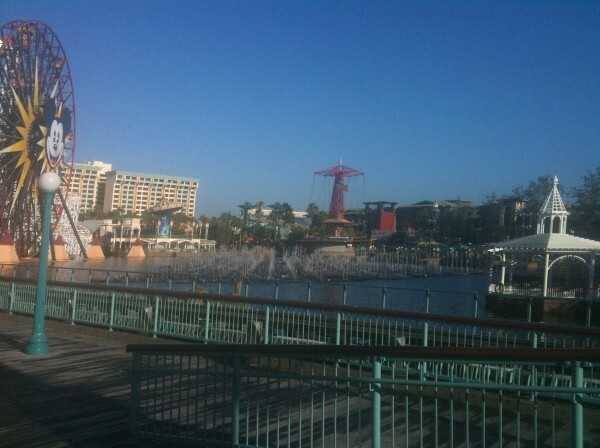 This activity is held early in the mornings, before California Adventure opens to the public. This walk is a great way to see the park while after it’s been prettied up and ready to go. The background music is already turned on and the park is humming with preparations and you get to be a part of it. If you are 14 years or older, the walking tour leaves immediately when scheduled and recommends that you should be able to walk for 45 minutes at a 1.5 minute mile pace and have exercise clothes. The only other time the public really gets to see the park at this time is if they participate in the Disneyland 5K or the Disneyland Half Marathon, so it really is a great opportunity! 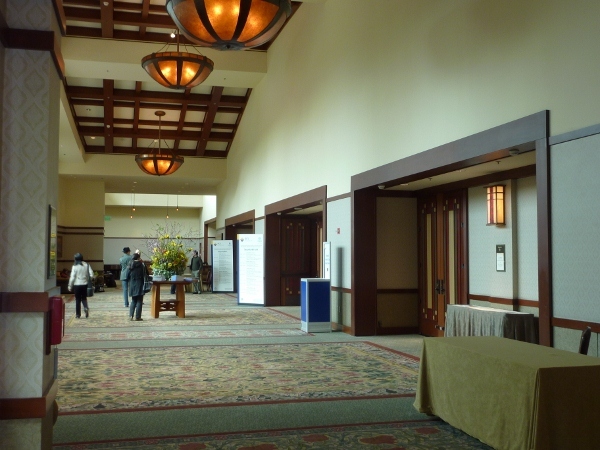 This is held in one of the Grand Californian hotel ballrooms, with a certified instructor. It’s a nice way to get your 60 minute workout in. Once you’ve had the chance to soothe your body’s needs, you might want to feed your mind with Adventure Classes and Tours. These are great for both the casual guest and the Disney enthusiast that wants to know a little more. One very important thing to note – the offerings are not the same for every hotel. It’s important to check your hotel’s guide for which ones are available to you! Availability: This tour is currently open to guests of all 3 Disneyland Resort Hotels, but you must make a reservation at the Guest Services Desk at your hotel. 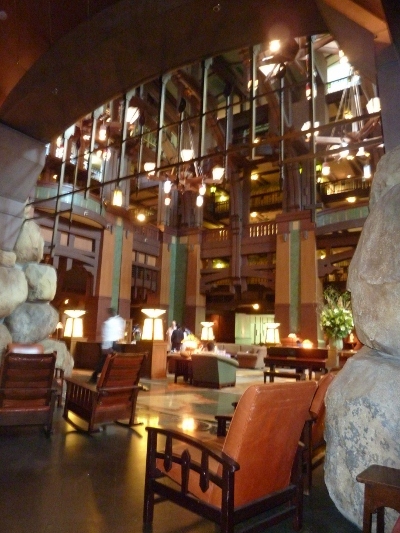 This is a great chance for architecture buffs and hotel guests to appreciate the artistic elements that make up the Grand Californian Hotel and Spa. Guests, age 14 and up, will spend one hour walking the hotel with a guide, who will help you learn the history behind the art, furniture, and building design. This includes secrets that are best viewed from unusual angles! My husband and I both love Greene and Greene design and have toured a couple of their houses in the Pasadena area, such as the Gamble House, so we found this tour to be fun and extremely educational. It gave us a new appreciation of how the Imagineers reflect the culture in their designs. Availability: This tour is currently open to guests of all 3 Disneyland Resort Hotels, but you must make a reservation at the Guest Services Desk at your hotel. Each resort has a different schedule for the classes, so refer to your guide. 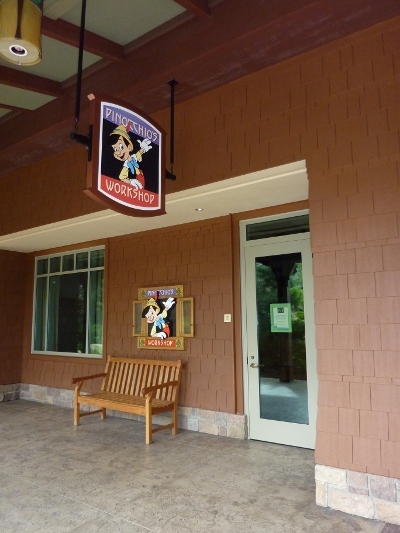 Held at Pinocchio’s Workshop, on the first level of the Grand Californian Hotel, this free family class will teach you how to draw Mickey Mouse the way the animators do. All children must be accompanied by someone 18 years or older. If you sign up for this adventure class, you will be walking away with more than just the knowledge of how to make one of those wonderful little towel animals that you sometimes find on your bed at turn-down. You’ll actually be walking away with your new creation! Just sign up for this free adventure at Guest Services and you are on your way to “officially” owning a Disneyland Resort washcloth! Keep in mind that not all of these are available at all 3 hotels, so I’ll include the restriction with each one. Availability: Currently open to guests of all 3 Disneyland Resort Hotels. You don’t have to make a reservation to do this activity, but you must provide them with your room number when you pick up your instructions. You should pick up your Pirate Trivia Map at your hotel’s Guest Services desk between 8 am and 11 am and head out into Disneyland Park. 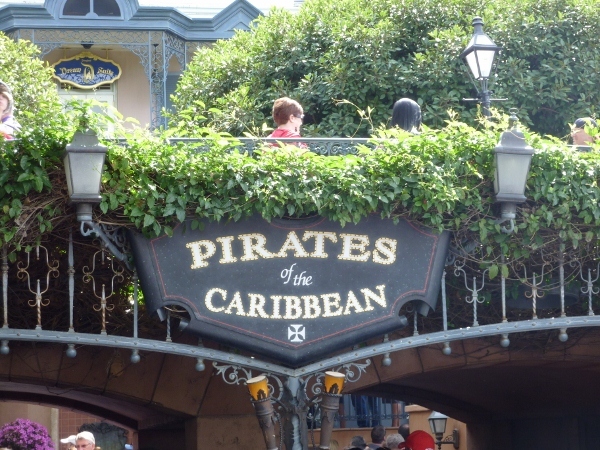 Once there, take your mates on The Pirates of the Caribbean attraction and follow the instructions and the map. Bring the answers back to Guest Services later on and see how you did! Availability: Open to guests of the Disneyland and Paradise Pier Hotels only. Like the Pirate challenge, no reservations are needed and you will need to pick up your materials between 8 am and 11 am, giving your room number. 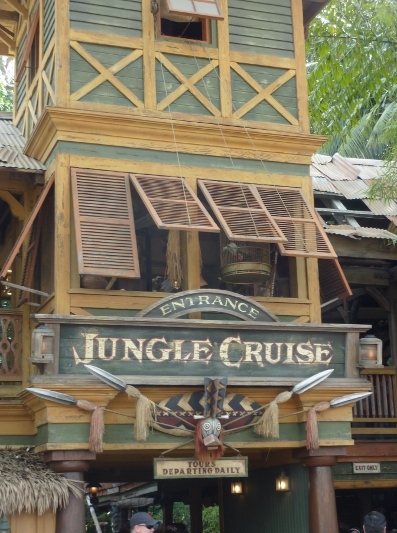 Trader Sam’s will take you into Disneyland for your adventure, where you will ride the world-famous Jungle Cruise attraction. Answer as best you can and take your answers back to Guest Services. This family adventure is one of the few to take place in California Adventure - and in a place that many people pass right by. One of the most intriguing places to go is the Redwood Creek Challenge Trail. With its suspension bridges, slides, creek, paw prints, rock climbing, zip line, and Ahwahnee Camp Circle – the home of the Magic of Brother Bear show, it’s a favorite of kids. When you pick up your instructions and Map (between 8 am and 11 am – do you see a pattern here? ), head out of the special hotel entrance to the park and turn right. It will be the first stop, next to the hotel. Have fun finding your answers, and bring them back to Guest Services. Availability: Open to guests of the Disneyland and Grand Californian Hotels only. 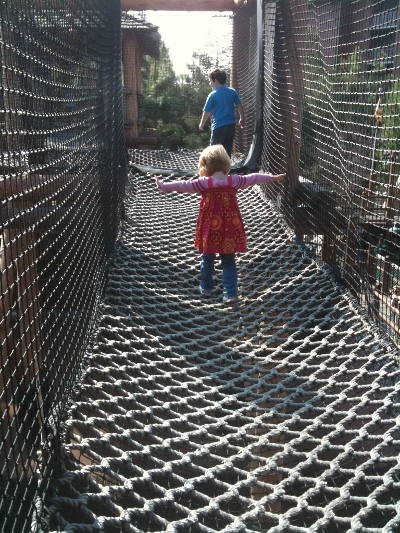 This adventure was opened only this week! 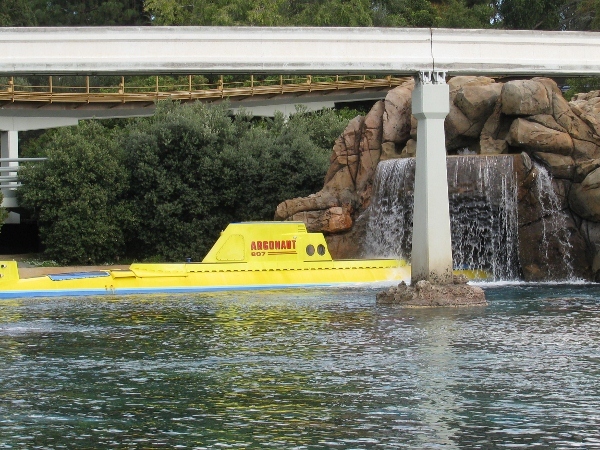 Once again – no need to reserve, get your supplies between 8 am and 11 am at Guest Services, and head over to Tomorrowland and get on one of those beautiful yellow submarines! Find the answers to the challenge questions and bring them back to Guest Services. I must admit, I really am curious about this one! Availability: Open to guests of the Disneyland Hotel only. This classic family attraction is host to its own trivia challenge. 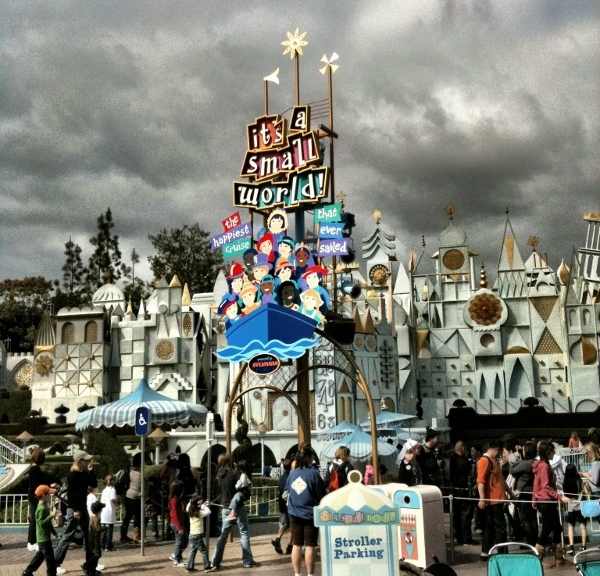 Go to Guest Services between 8 am and 11 am to pick up your instructions and head over to Fantasyland and board the Happiest Cruise on Earth - “it’s a small world”! I think this is one adventure that the smaller children will really enjoy helping with. Once you have your answers, drop them off at Guest Services. This challenge is currently the only one to take place in the hotel itself. You and/or your children – recommended ages of 3 to 12 years – will find yourself exploring the hotel in ways you never knew, noticing things you’ve never seen from a normal perspective. Like how the stonework in the floor seamlessly blends with the design in the custom woven carpet in the lobby…. Everyone gets a treat in the end – just return your answers to Guest Services! One of mankind’s favorite things is to hear a good story and stories come in many forms – oral, musical, and visual. It’s also one of the things that Disney is best at. Therefore, the final category of adventures is Storytelling. Guests are invited to share in some classic tales. 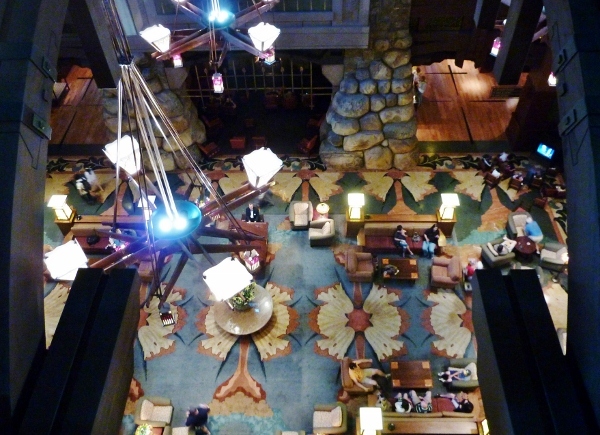 Availability: Open to guests of the Grand Californian – but anyone in the lobby is welcome to listen. The fireplace inglenook in this photo is the location of these two free adventures. They take place (usually) twice an evening and on alternate days – Stories one day, Songs, the next. Because of the location, they don’t restrict participation and there are no sign-ups. The only thing to think about is whether or not you want to arrive early enough to rest yourself in one of the reproduction Stickley rocking chairs in front of the fire. There are several miniature ones – a favorite place for the children in your life! Fear not if you can’t get a rocker – the banquette seating is really comfortable for cuddling during the stories, too! At the end of the day, when the parks are done, there is one final adventure to have before bed. Availability: Currently open to guests of all 3 Disneyland Resort Hotels. Just turn to the channel mentioned in your guide. What better way to wind down than with a bedtime story and each hotel has a designated channel to provide that service for you. Each night, a different princess will visit your television and tell her story with the aid of her trusty attendant. 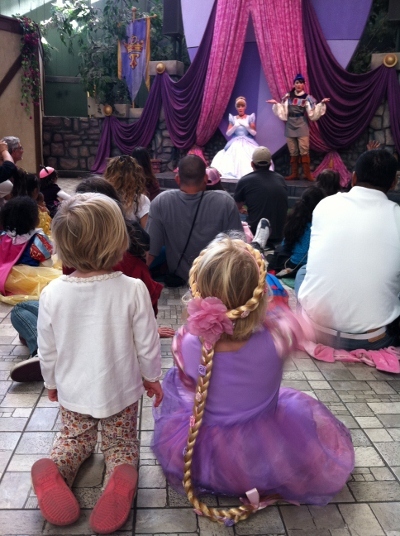 These stories are told almost the exact same way they are done at the Princess Fantasy Faire, in case you accidentally missed Story Time there. Simply tuck your children in, turn on the channel, and one of the princesses will come to lull them off to more dreams of Disneyland. A perfect end to a day full of perfect Adventure!